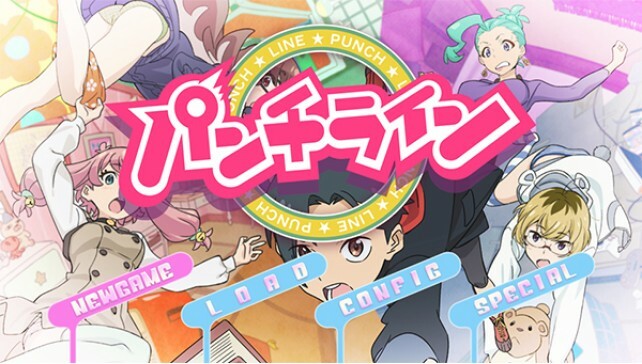 After previously teasing a vague Summer 2018 release, PQube has announced the Punch Line release date is quite literally at Summer’s end. This truly unique visual novel will be released on August 31, 2018 in Europe. North American players will have to wait until September 25, 2018. Based off the anime series of the same name, Punch Line centers around high schooler Yuta Iridatsu. He seems to be a normal guy, However, after being hit by a bus that was hijacked, Yuta becomes a ghost! Yes, it’s all pretty wild. What soon presents itself as an opportunity for unlimited glances at women in various states of dress soon turns disastrous. Should Yuta get a peek at a woman’s underwear, he’ll faint, an asteroid will hit Earth, and life as we know it will end. Thankfully, he has the ability to travel back in time to the moments before his hopefully inadvertent peeping. He’ll have to avoid such scenes as he tries to get back to his body and aid the people he knows. In addition to the standard retail edition, there will also be a Punch Line limited edition. This includes a 128-page art book, in addition to unique packaging. But the best version may be the Cheermancy Edition, which comes with a glorious pigeon mask. Punch Line will come to the PlayStation 4 and PlayStation Vita in August 31, 2018 in Europe, followed by a September 25, 2018 debut in North America.